This is a fun idea for your kids to do at church. Play the Bible Scavenger Hunt with them. Collect all the items you see on the list above. These will be your items that you will hide outside. Separate your kids into 2 teams. Then give each team a bible and a plastic bag. Appoint a team captain for each team. 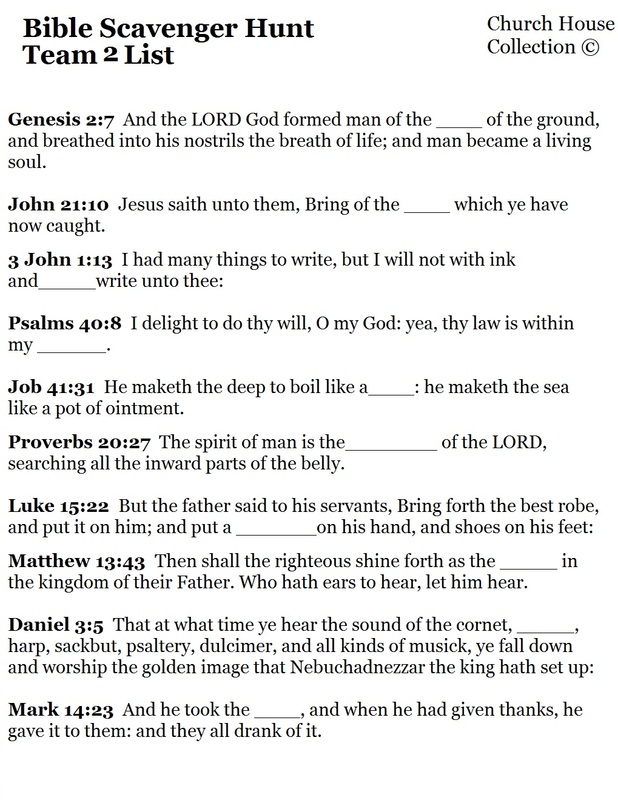 Print the Bible Scavenger Hunt Team List 1 off and hand it to the 1st team. Print the Bible Scavenger Hunt Team 2 List off and hand it to the 2nd team. Explain to the kids how to play. 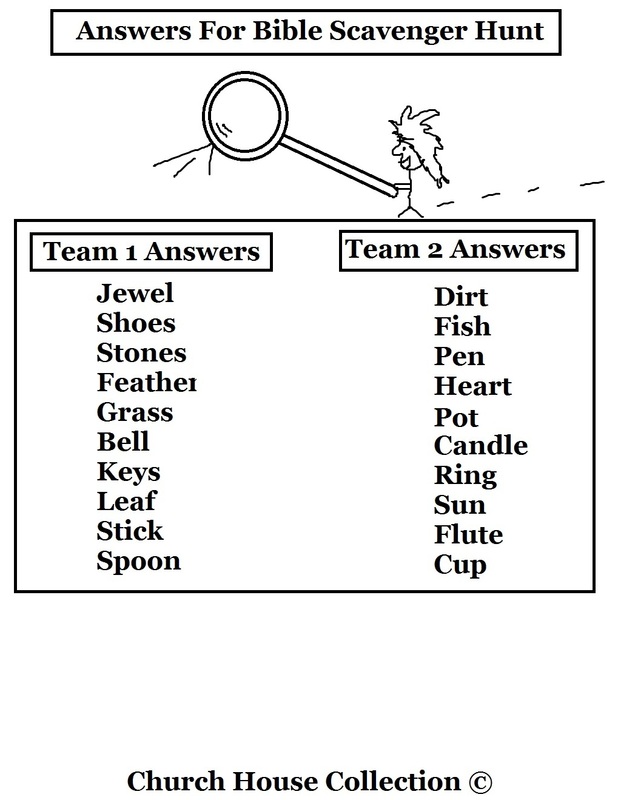 Both teams will be in a race to see who finds all the items first. Each team's job is to read the question on the sheet and then have the team captain look up the answer in the bible as fast as they can. As soon as they find the answer they can run to find the object they need to put in the bag. The first team that finds all the objects wins. You can always make your own list of questions and come with different items. This will be a blast for kids! 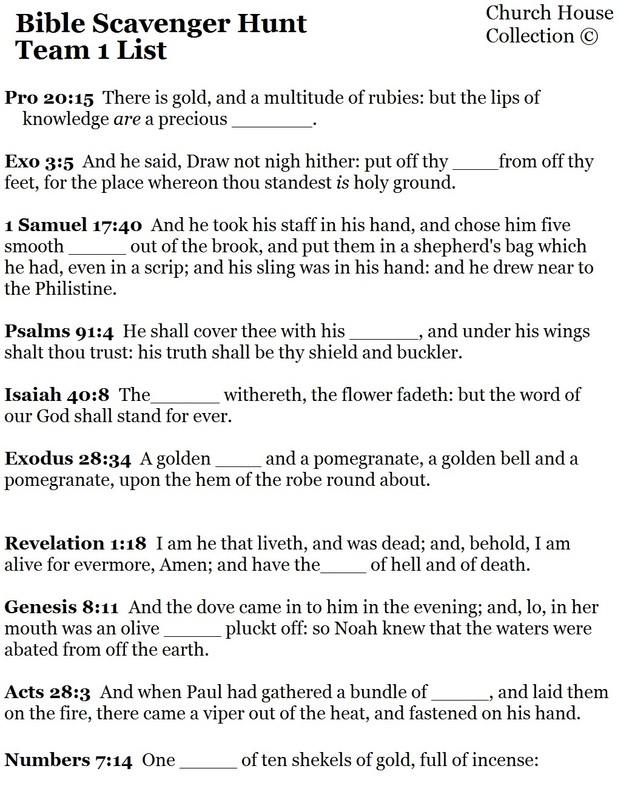 This helps them with learning how to look up scriptures. 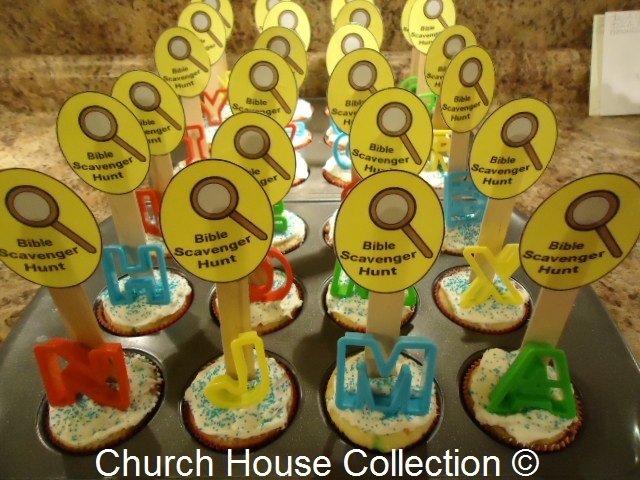 I made the Bible scavenger hunt cupcakes for the kids at church to go along with our Bible Scavenger Hunt game just for fun. They really loved these! Be sure to check out the rest of our Sunday school lessons. We have Bible Coloring Pages and and Bible snacks too.